Let us have a look at what a typical phishing email looks like and 6 indicators that something is not right here. 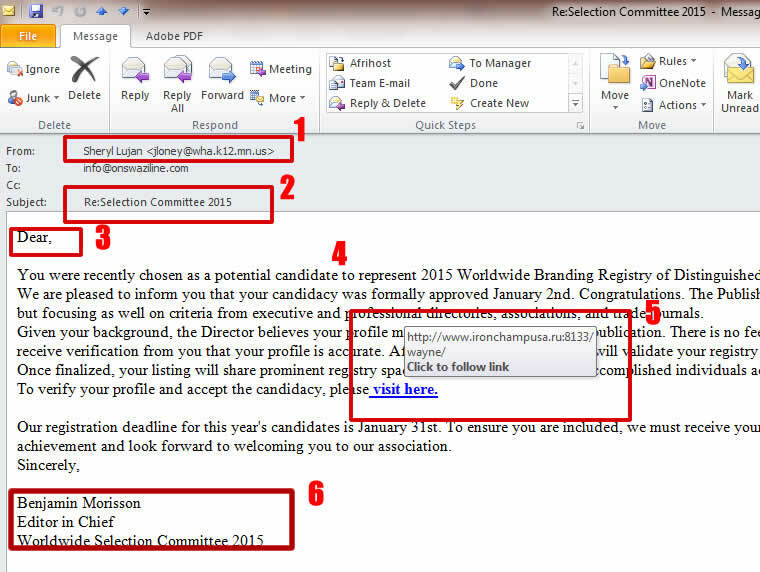 THE SENDER EMAIL ADDRESS: For a Selection Committee, the recipient email address looks questionable. THE SIGNATURE: Does not have contact details. A lot of companies are struggling to deal with cybercrime because some of it is brought onto the organisation’s network unknowingly.